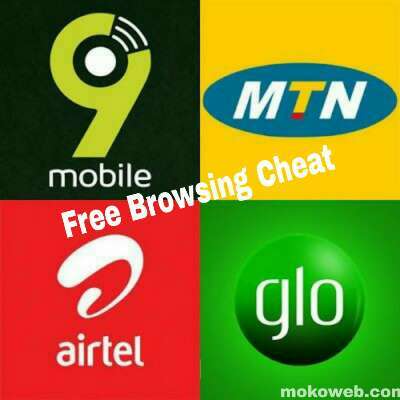 This post covers all the latest free browsing cheat 2019 for MTN, Airtel, 9Mobile and Glo. This year, there are few ways to enjoy free internet browsing in Nigeria and other countries so you will learn about the currently working cheats right now. Whether you are searching for latest MTN Cheat, latest Glo cheat, latest Airtel cheat or latest 9Mobile cheat, this article is for you so read on. The word “free browsing cheat” is not a new term in Nigeria especially among the teaming youths and students who finds it difficult to subscribe for normal data plans mostly because of lack of adequate fund and poverty. Toward the end of the year 2018, so many cheats were discovered with HTTP Injector, KPN Tunnel and few other tunneling apps. This involves creating and importing of customized config files and some of those cheats are still working today in 2019. So what are the currently working cheats this year? As far as the year 2019 is concerned, below are the currently working cheats for the popular networks. Check Glo free browsing cheat with Sky VPN. Check all-in-one Glo free browsing cheat. For now, the only free browsing trick available on airtel network is via opera mini handler. New MTN free browsing via Hammer VPN Cheat. Latest MTN free browsing with HTTP injector (read more). See MTN KPN Tunnel Config for free internet trick in Nigeria. Check Psiphon Settings for MTN free browsing cheat 2019. Check Combo VPN Settings for MTN cheat 2019. Click here Spark VPN configuration for MTN Cheat. AnonyTun VPN configuration for 9Mobile free browsing cheat. Click here for all-In-One 9Mobile cheat settings. The above links leads you to the pages on this blog for latest working cheats on Airtel, Glo, 9Mobile and of course MTN.